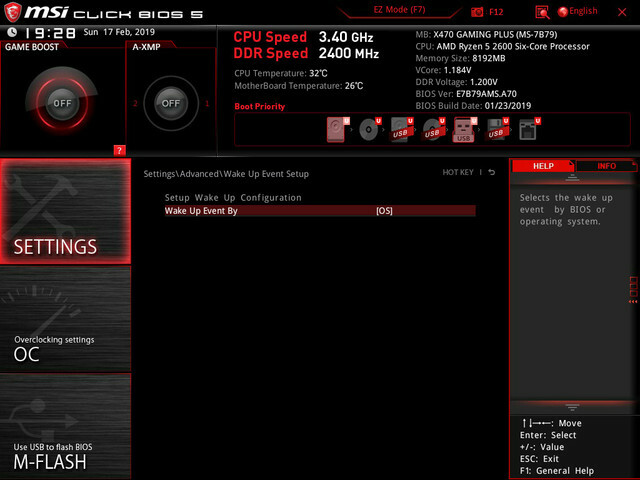 I have MSI X470 Gaming plus and offset voltage works great on 2600X. Thanks @1usmus . The download links for x370-f 4207 don't seem to be working anymore. Any chance we could get another link for it? 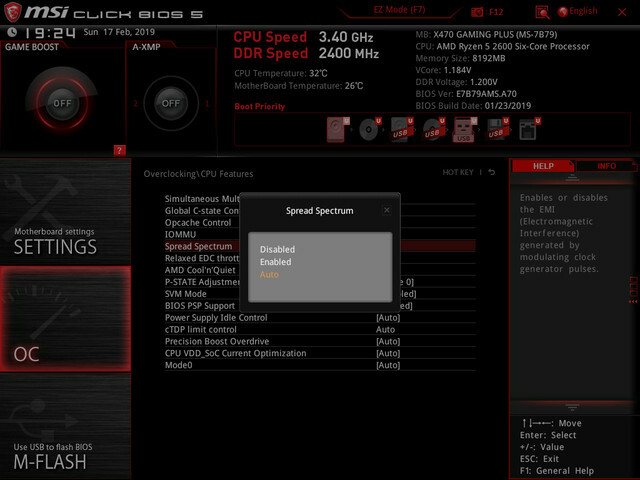 I saw that Buildzoid said that spread spectrum can't be disabled on this board, is that true? If it is, how does it affect overclocking stability? I am looking at purchasing it asap, so every bit of information would be great! 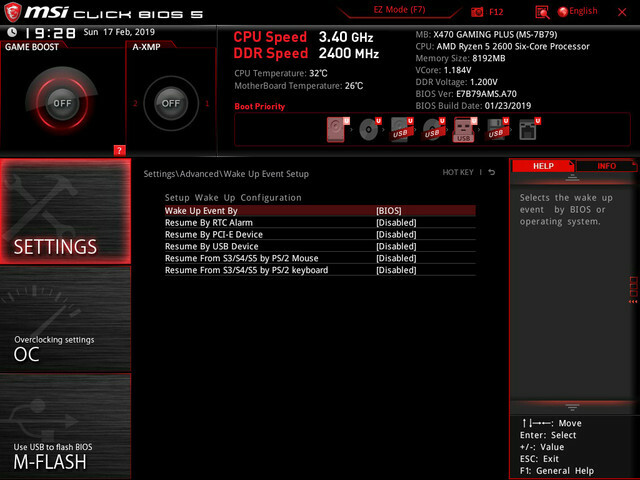 New 7B79vA7 BIOS version for MSI X470 Gaming Plus M/B. I definitely got a stable OC at lower voltages on my CPU and better timings on my RAM with spread spectrum disabled. Are you going to be using the R5 1600 that you have now or what CPU are you going to put into your new board? I did a TON of research for my build and then a lot for a buddy who wanted a 2600X and it looks like the consensus is that if you're not going over a 1600/2600 you really are just wasting your money on a 370/470 board. You should consider the Asus ROG STRIX B350-F Gaming (or 450) if you're going with the 1600 or 2600 as they overclock really well and are cheaper. That Asus model seems to be the best or at least in the top class of motherboards in terms of components and features while the B350 variant is super cheap now and the B450 variant is decently priced. Apparently there isn't much different between the 350 and 450 but you should look into it and decide. My buddy got the B350-F Gaming with a 2600x and it is working out for him perfectly. I will be getting 3600(X) when it comes out. I currently have a problem with one of my new memory sticks, so I guess it would be better to wait for the next chipset generation. It can be disabled as you can see on the pic. Here you can learn how toggling it may affect your system. Please, can someone clarify to me what is/are the differences between setting the Wake Up Event option by BIOS (+ its options), and OS? Or in what case would the OS one be used? If I remember correctly, Buildzoid said that Spread Spectrum can be disabled only if you use BCLK OC. Ok I'm running the bios mod on my strix X470-F so i got some hydronaut and was doing some baseline tests at stock and my current OC after switching paste and now back to the stock prism air cooler on my 2700x. I noticed my max SoC voltage at frightening 3.00v!!!! I am used to seeing things like 0.000v VID usage on the cores from time to time in hwinfo and other software glitches but as shown in the second picture, the math of SoC power being nearly half the full TDP of the CPU maxing at nearly 50w SoC power. I just don't know the average/safe SoC current to see if that math adds up with voltage. If that means what I think it means than somehow my motherboard has been spiking the voltage up without being detected . I wonder if VRM temps differing confused the boards current control and has been slipping voltage spikes or something every time the IO shield VRM becomes heat soaked. So should I be flashing back to stock and prepping to RMA the board before it does something like fry my dumb expensive ram. My CPU and Mobo can be RMAd but ram can't be. I get it that I did all this over clocking at my own risk but I really really need to get to the bottom of this as idk if this could explain why I've had such a hard time getting my ram and cpu stabilized progressively getting worse it seems. Been trying to replicate issue with another PSU and my old micron 2400 MHz cl16 kit but have yet to see much as I haven't been able to test more than a couple settings changes. Any advice , info, insight would be greately appreciated.